We speak to Barney Hare-Duke, artistic director and curator of the the British Ceramics Biennial’s fourth edition, about why designing with clay is still relevant in 2015. 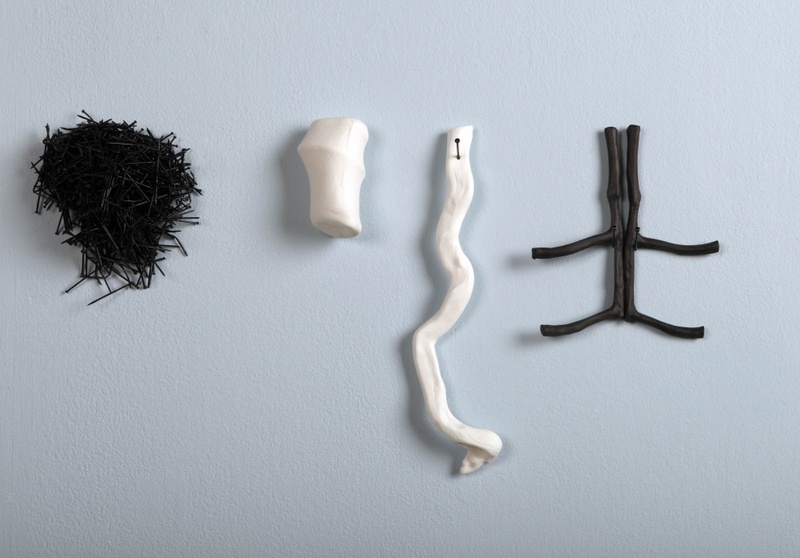 The British Ceramics Biennial, a festival celebrating the craft of ceramics and clay making, is set to return to Stoke-on-Trent this autumn for its fourth stint. We speak to Barney Hare-Duke, artistic director and curator of the show, about the importance of “learning through doing” and why tactile skills should sit alongside digital skills in the design industry today. 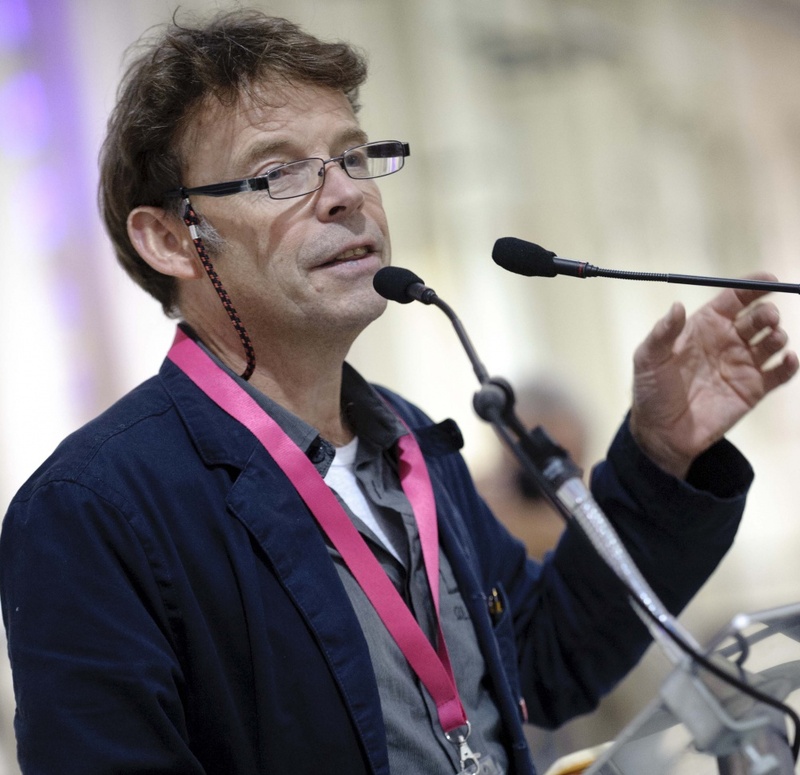 Barney Hare-Duke, artistic director and curator, British Ceramics Biennial. © Joel Chester Fildes. Design Week: What is new about the British Ceramics Biennial this year? Barney Hare-Duke: The big difference is our centrepiece show AWARD. This year, it’s on Stoke-on-Trent’s former Spode ceramic factory site, within the China Hall – a creative hub that resonates with the history and heritage of the ceramic industry. It’s a vast, open space, which has in the past been quite derelict. AWARD is about forward-thinking and new ideas, so there’s an exciting new dimension in that while we’re not looking back at the former glory of the industry, we’re looking forward with where the energy derived from heritage can take us. Aneta Regel, installation view, 2015. Image courtesy the artist. DW: What are you hoping to achieve with the Biennial this year? B H-D: The BCB is in its fourth edition, so it’s still quite a new organisation – we want to maintain the forward momentum and the idea that we’re more than just a six-week festival that pops up every two years. We don’t want to sit back and celebrate success, but push forward and highlight heritage and new ideas. So we’re setting up a registered charity, the Clay Foundation, because we want to drive forward the whole initiative and maintain a presence beyond the festival. This will be comprised of three related programmes: the Biennial festival, a series of residencies and commissions that we set up with artists within Stoke-on-Trent to assert the city as the centre for ceramics excellence, and an ongoing community engagement programme looking at how ceramics can make a difference to people’s lives. We want to get the message out there that we’re here to stay. Anne Gibbs, ‘Unfolding Secrets, detail 3’ 2015. Bone China, fused pins, pins. Image courtesy the artist. DW: How strong do you think the British ceramics industry is at the moment? B H-D: The strength of the industry depends on where you look. There’s two sides to it: manufacturing and creative. The manufacturing industry is by and large located in Stoke-on-Trent, and there’s clear evidence in growth of manufacturing. We’ve got Grayson Perry blazing a trail for potters – you can see how his ceramics have been applied to architecture. The big international players, such as Wedgwood, Portmeirion’s Spode, Steelite International and Johnson Tiles, are still based there and doing well. The creative industries are also thriving with the number of SMEs, designer-makers and potters continuing to grow. There has been resurgence in making skills, with campaigns such as the BBC’s Get Creative pushing this. Statistics from The Crafts Council also recently showed that ceramics is Britain’s second largest craft activity after textiles. But there are areas where there needs to be campaigning. The downside is in education such as the closure of ceramics-specific higher education courses, with now only two left at Central St Martin’s and Cardiff University. In schools, there’s an erosion of creativity within the curriculum and an ever-increasing loss of opportunity for children to use clay, and making materials in general. We need to address the supply chain and ensure there is increased opportunity for young people to get involved, through helping the public understand the value of the craft. DW: How do you think ceramics could be incorporated more into education? B H-D: There are initiatives – the Crafts Council ran a campaign called “Firing Up”, which looked to reignite ceramics in secondary schools. It’s really important that there is continued investment in things like this to provide for early encounters. Clay is a very accessible and generous material to work with and can be applied across design disciplines. Sam Bakewell, ‘Imagination Dead Imagine’ 2009-2015. 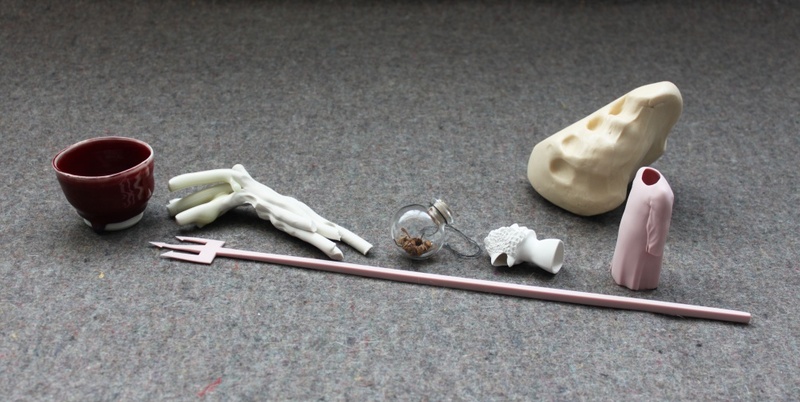 Mixed collection of hand modelled, slipcast and carved objects. Image courtesy the artist. DW: How do designers incorporate ceramics and other craft skills into their work? B H-D: Clay is a fairly unique material in that it is both 2D and 3D at the same time. Grayson Perry demonstrates this – the pots are not just a canvas for him, they’re an integral part of what he does and how he communicates. What can be taken from this is an understanding of the relationship between surface decoration and inner content – there’s interdisciplinary work going on within the field. It’s about having a hand that can reach inside the screen. At the BCB this year, we have Michael Eden, who works with digital printing technology and who will be demonstrating the applications of ceramics in architecture through 3D printing – it’s the importance of having haptic skills alongside digital ones. The ability to develop those digital skills relies on understanding material skills. Working in ceramics also helps to develop thinking skills – it’s research through practice, and how you can explore and develop something through doing. It teaches you problem solving and thinking laterally, but with the confidence of understanding. DW: How do you think ceramics can be brought more to the forefront of art and design? B H-D: Encouragement of events like the Biennial – we offer continued opportunities for people to encounter objects and creative processes in engaging, creative ways. What we’re doing is enriching and bringing new and fresh ways of encountering this material which people are actually already very familiar with. Clay is ubiquitous – it’s all around us, in furniture, buildings, and even in technology, from microchips to hip replacement joints. Ceramics are everywhere. Events are there to raise awareness of its centrality, and the pleasure that can be derived from engaging with it. We want to inspire people, enable them to learn and give them the opportunity to get clay under their fingernails. 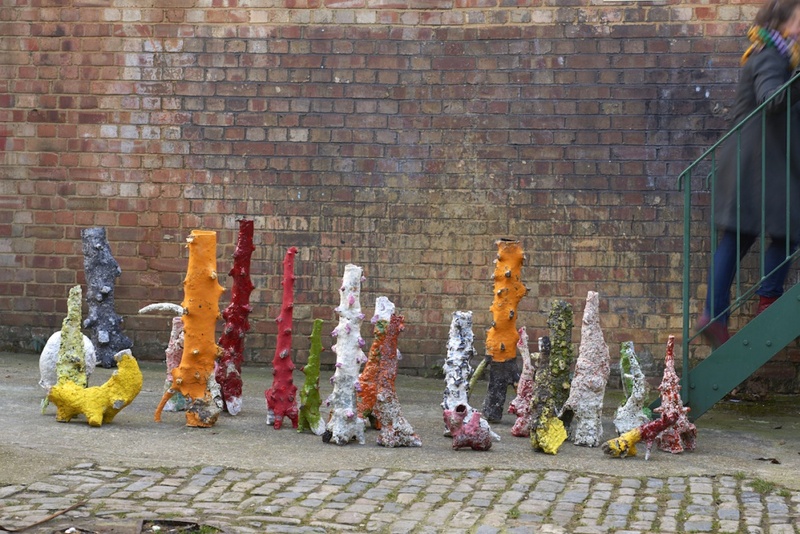 The British Ceramics Biennial will take place 26 September – 8 November 2015 in Stoke-on-Trent.